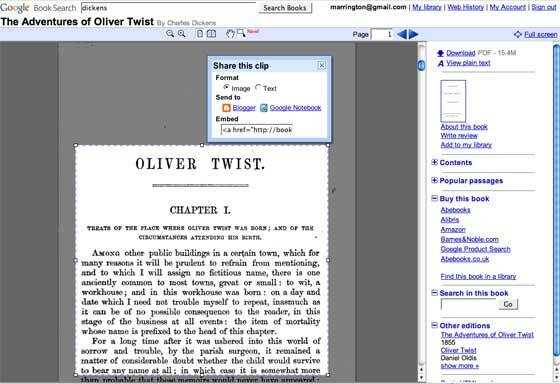 Google Books released a useful new tool this morning – the ability to embed parts of public domain books directly into other websites and/or Google Notebook. The clip from the image above is embedded below. You can choose an image or text embed (both are below). It’s useful for bloggers who want to discuss a certain passage of a book, although taking a screen shot and uploading it does exactly the same thing. The image embed lacks a link back to the original source material for some reason. The text embed has a link but the formatting isn’t so wonderful.